Property Description ****Brand New 16 Quartz, 3 Storey. Property Description TWIN PALM KEMENSAH @ TAMAN MELAWAT. 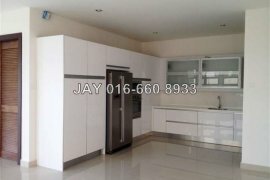 Property Description SUNWAY RYDEWAY @ TAMAN MELAWATI Va.
Property Description Single storey Bungalow at Jalan Ga.
SILC NUSAJAYA, GELANG PATAH INDUSTRIAL PLOT Land FOR SALE. Property Description 3 unit 2 Storey Bungalow located T.